A great phone for hard of hearing individuals, the Doro 6030 Clamshell Amplified Mobile Phone is designed for easy and straightforward use for those who might struggle with a conventional mobile. It can be hard to press the right buttons on a normal mobile and, for people with impairments to their hearing, mobile phones may be too quiet to properly follow the conversation. If you find a phone that works for these things, it might lack some of the features – such as a camera – that you desire. With the Doro 6030, these fears can be removed. The large and clear display on the Doro 6030 makes it great for individuals with impaired vision – big characters and a bright screen make words and numbers much easier to recognise. Everything about the Doro 6030 has been made with simplicity in mind. Phone calls are answered just by opening the phone – no button presses needed – and the keys are spaced out more than on normal mobile phones to ensure that they are easier to hit. 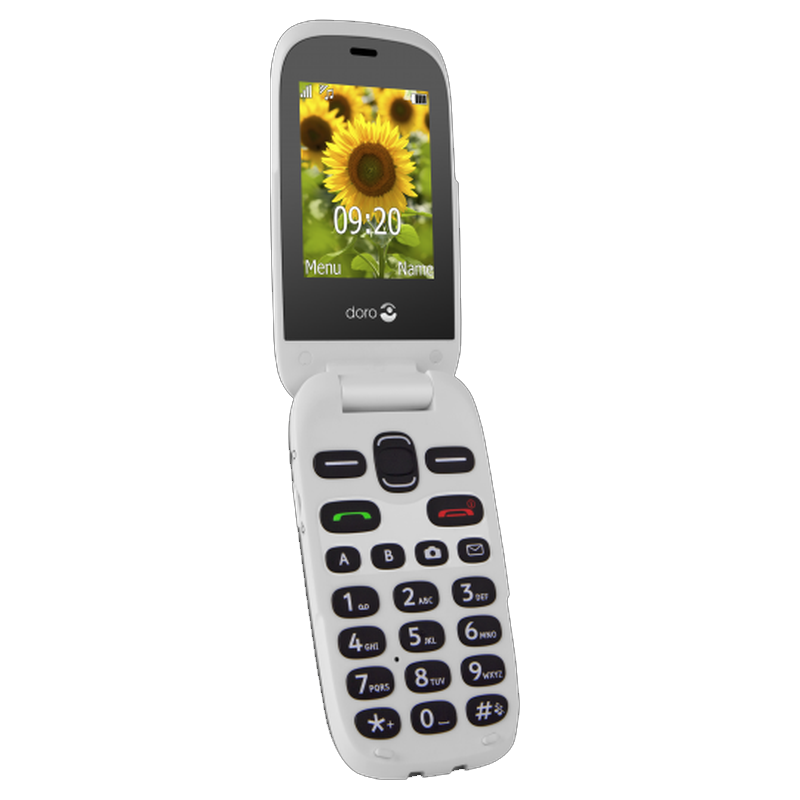 To help the hard of hearing, the Doro 6030 features a receiver amplification of up to 35dB – making this phone ideal for hard of hearing individuals with mild to moderate hearing impairment. What's more, the phone is also fully hearing aid compatible – enabling hearing aid users to hear phone conversations in even more clarity. 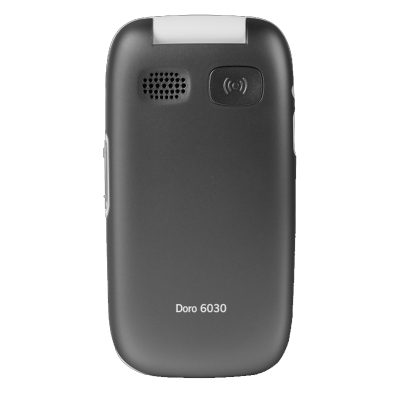 Alongside these great accessibility features the Doro 6030 also has all the features of a standard mobile – messaging, bluetooth, an extensive contact list as well as the more advanced features such as a high quality camera. This makes it great as an all-rounded phone suitable for a variety of needs. Screen Resolution: 320 x 240 pixels. There is a talk-time of eight hours and a standing time of 530 hours without the battery needing to be charged. The battery type is 800mAh Li-ion and comes with a UCS – a Universal Charging Solution.